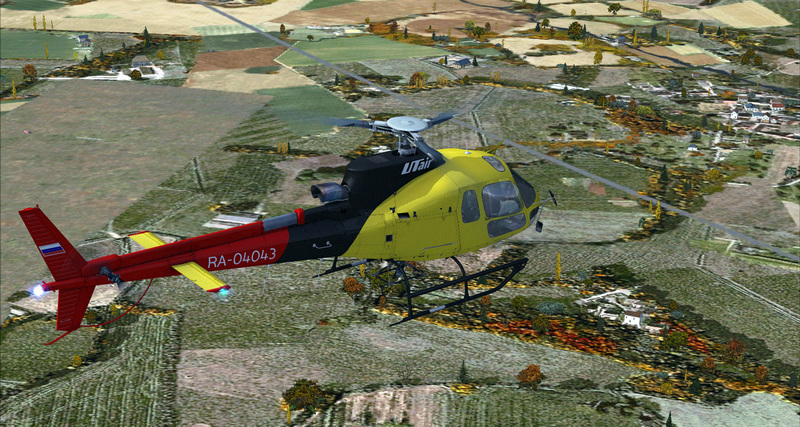 - B3 sprayer with working sprayer system. 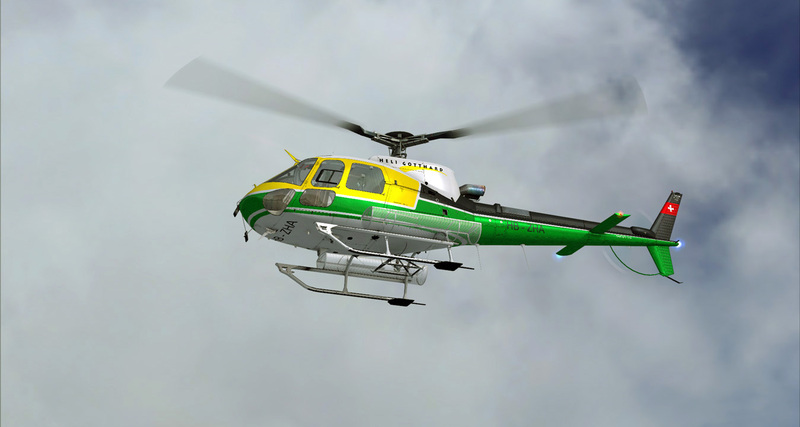 - B3 float with working emergency float system and large door windows. 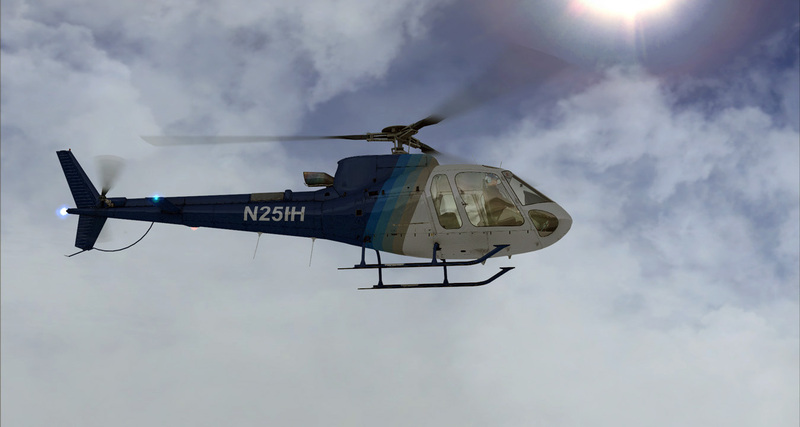 - B3 observer with large door windows and low skids. 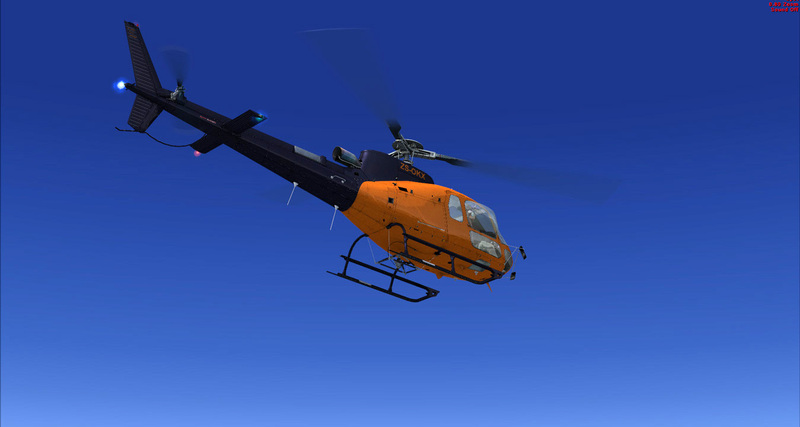 - B3 hoist with bottom mounted hoist system. 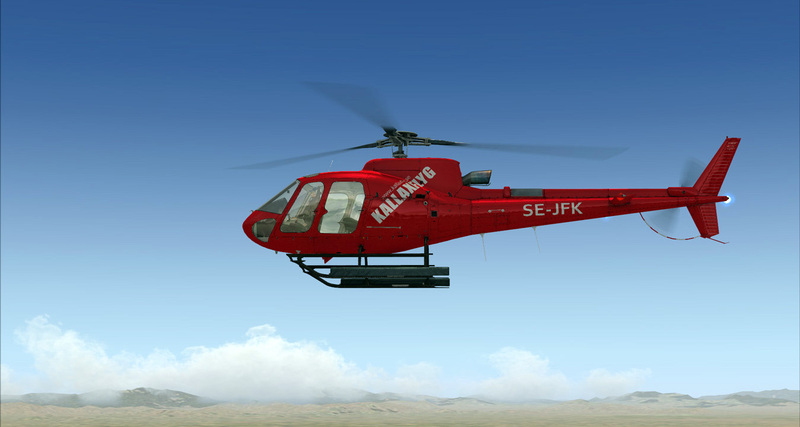 - B3 hoist with bottom mounted hoist system and skid baskets. 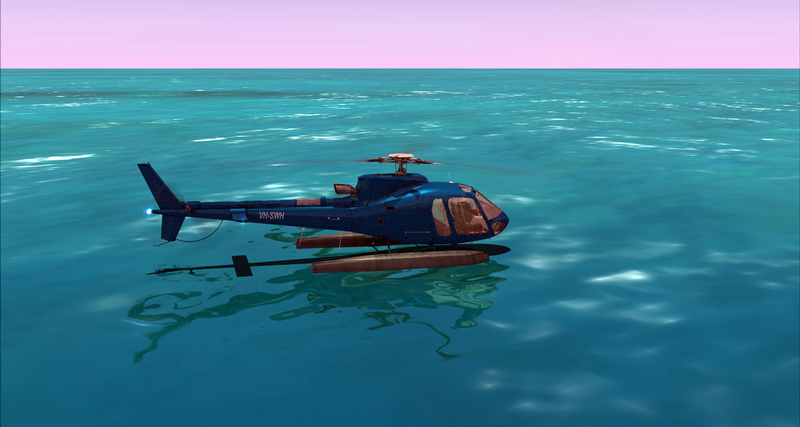 - B3 with all passenger doors removed. 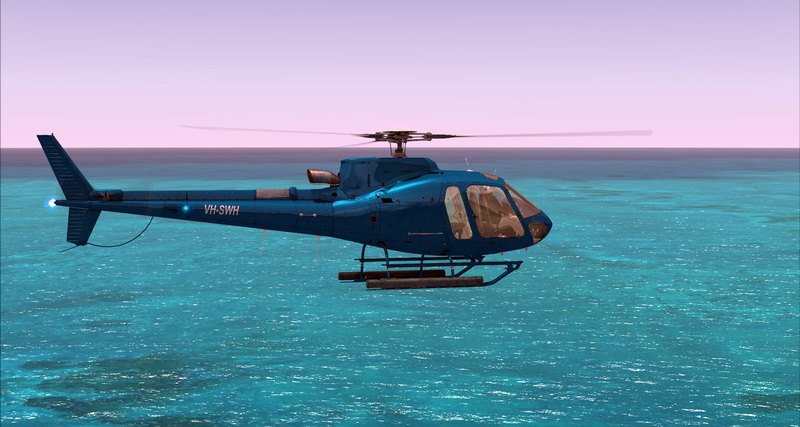 To enable the emergency floats use the "JETT" switch on the collective lever or the default FSX "emergency floats" command. 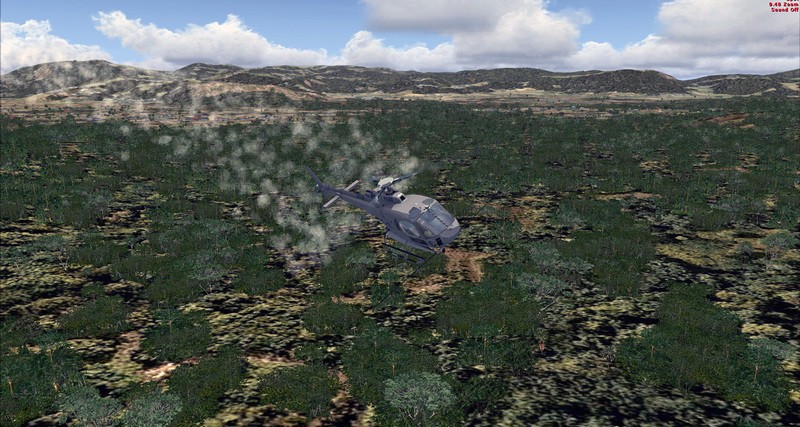 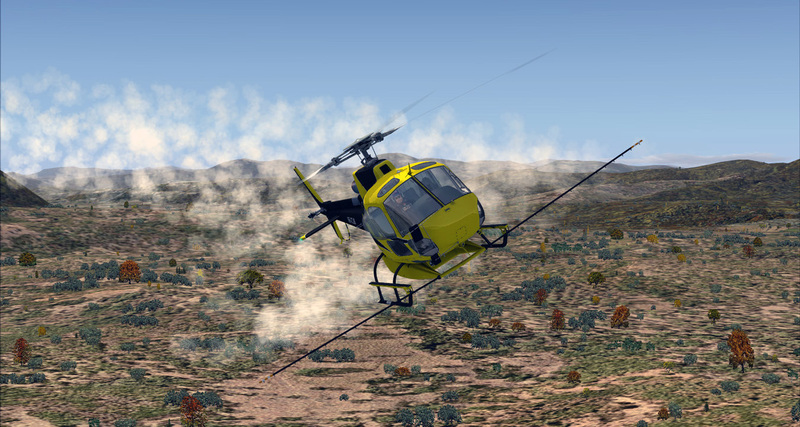 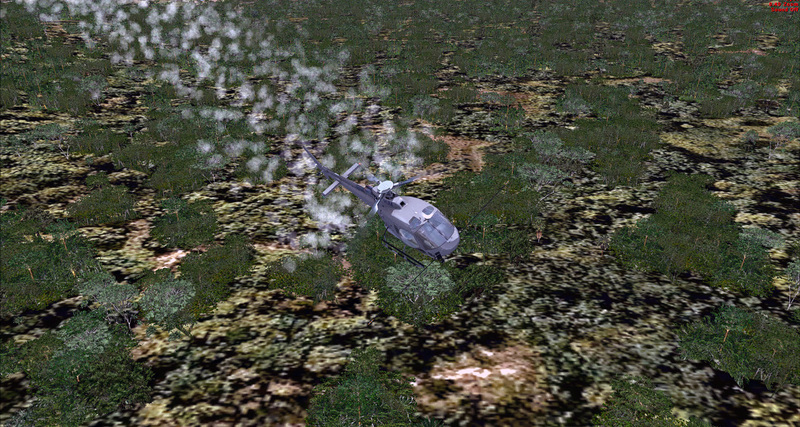 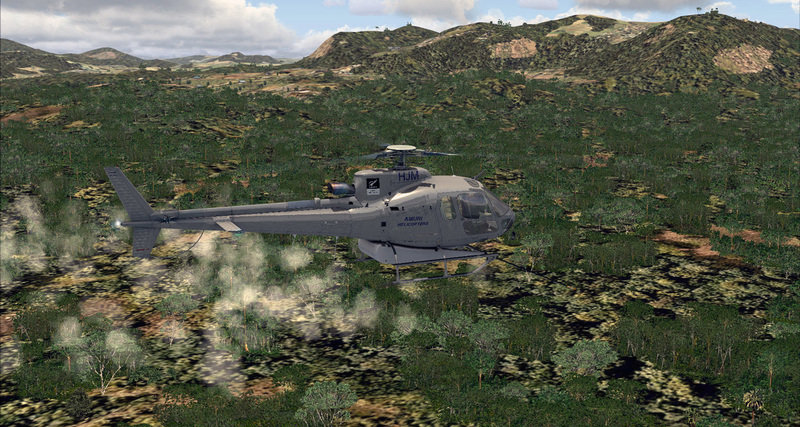 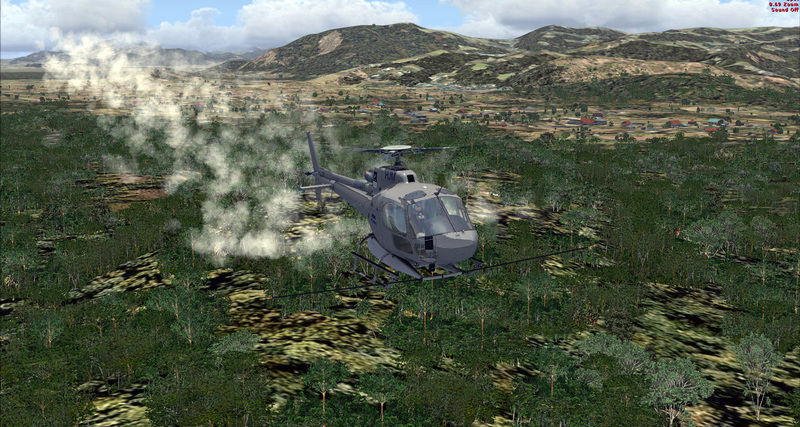 To enable the sprayer system use the FSX default "smoke system" command. 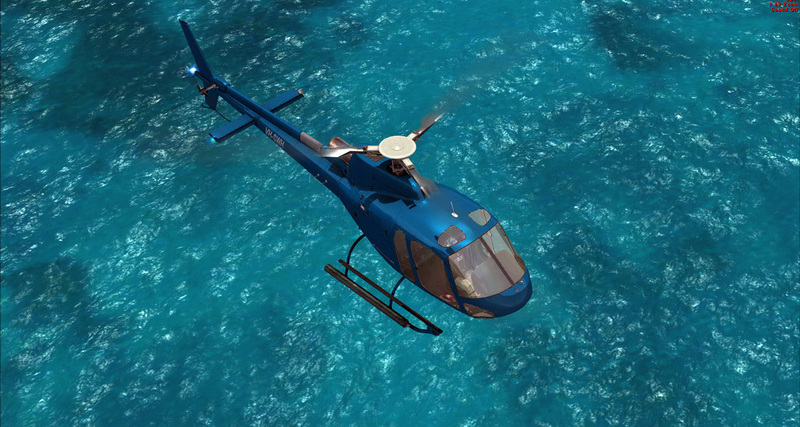 Also, the expansion pack adds twelve additional liveries, two for each new variants. 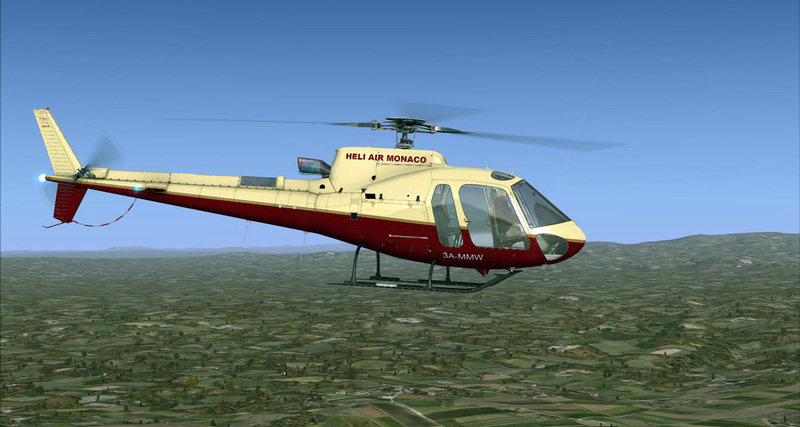 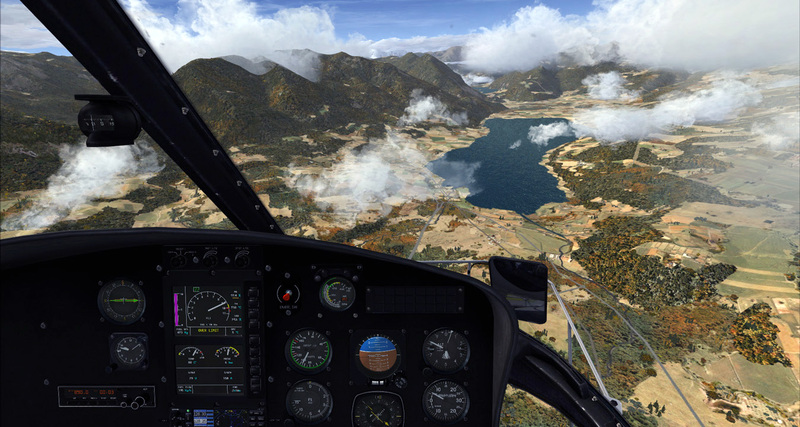 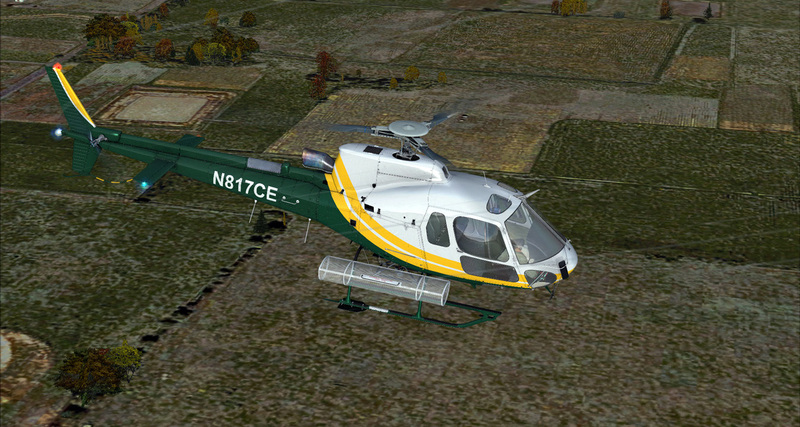 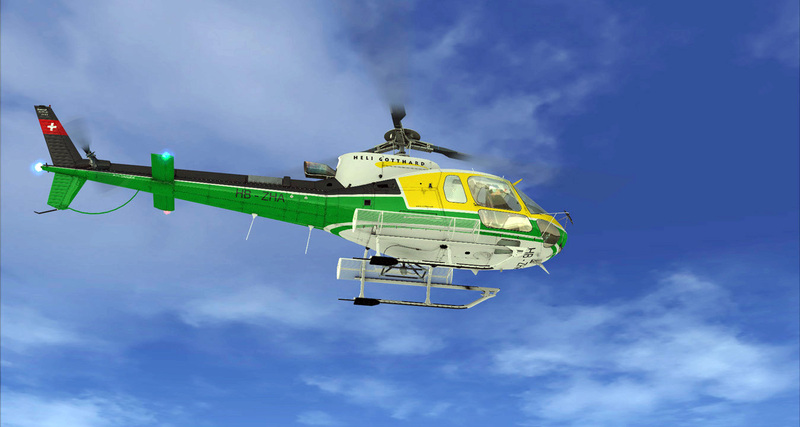 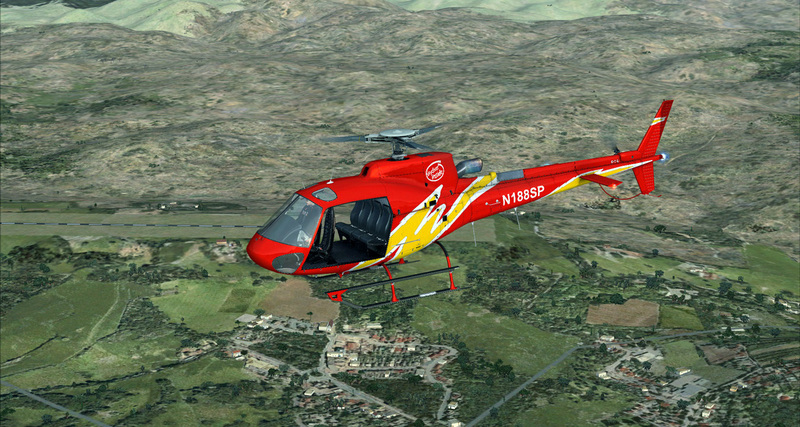 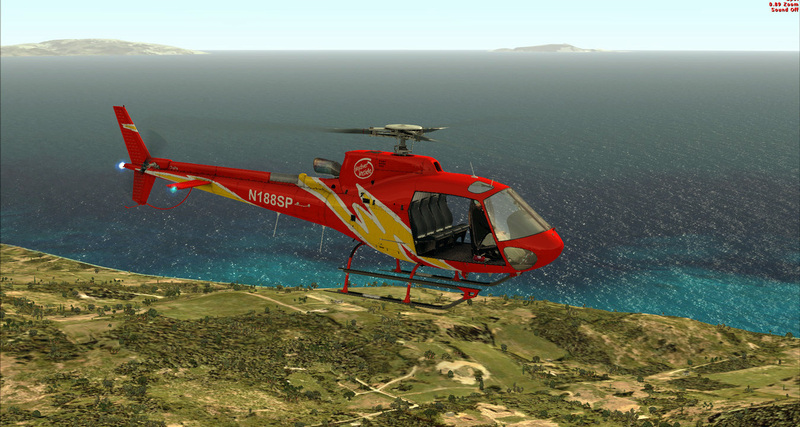 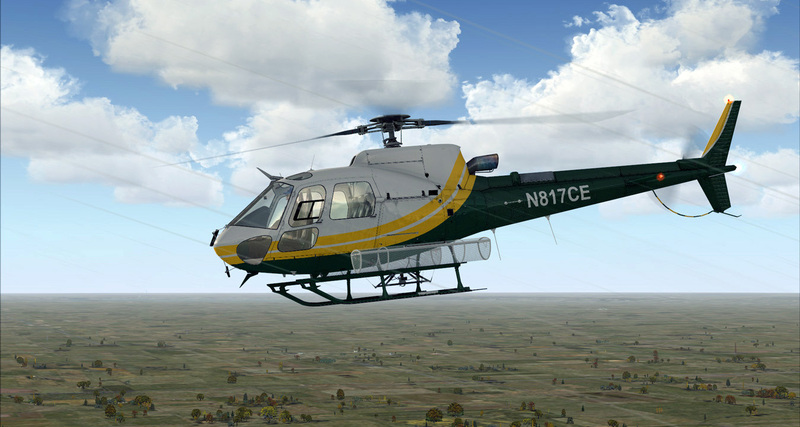 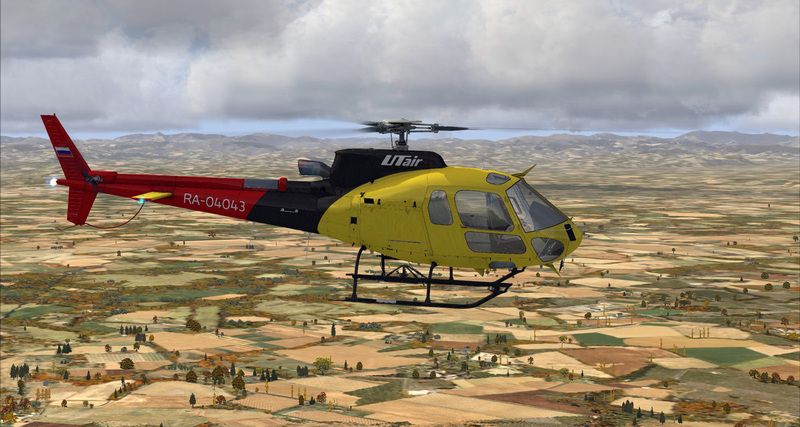 As the original AS350 package, this product requires Acceleration Expansion Pack for FSX. 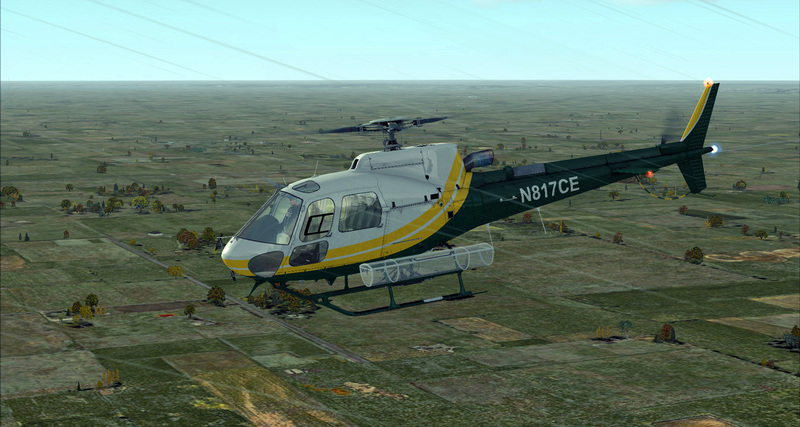 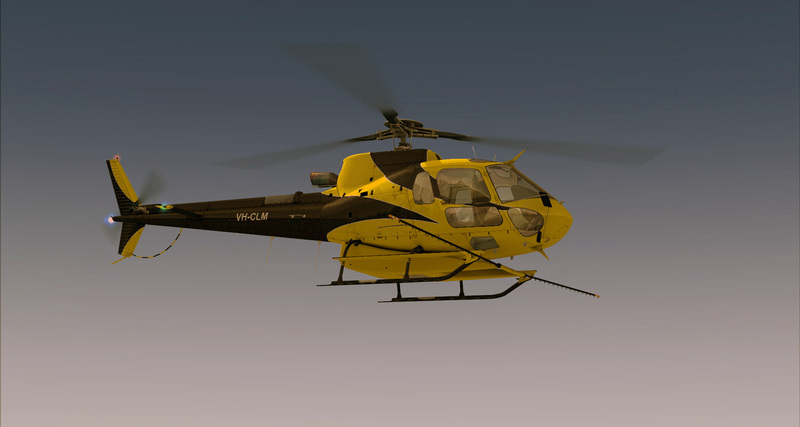 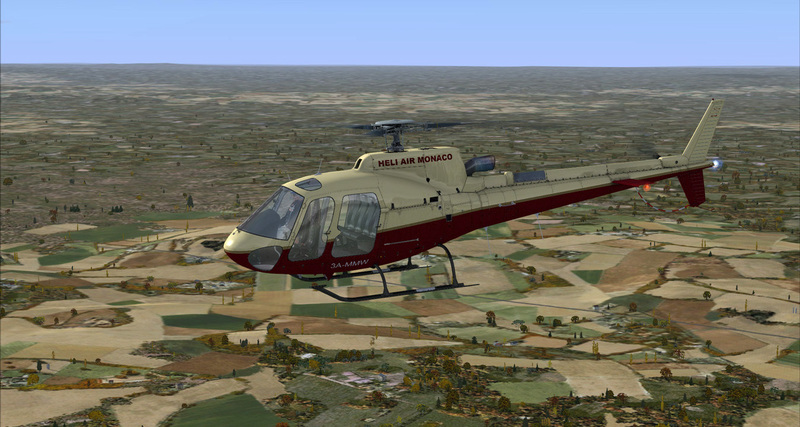 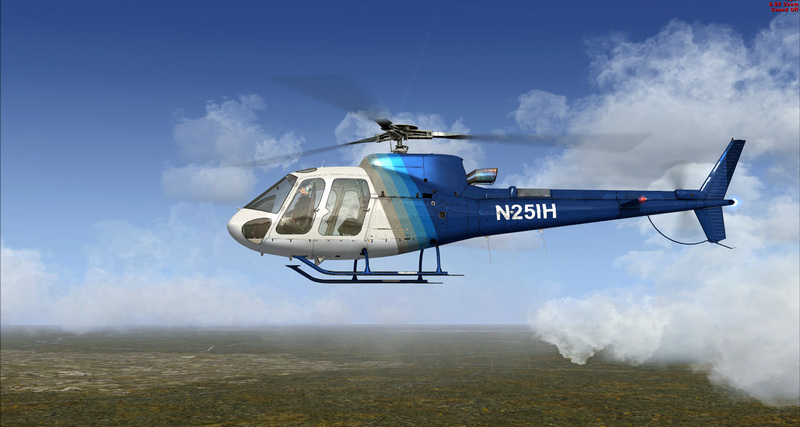 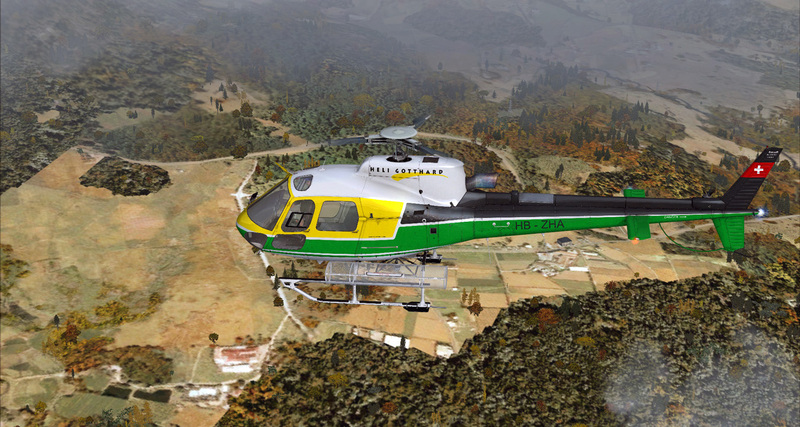 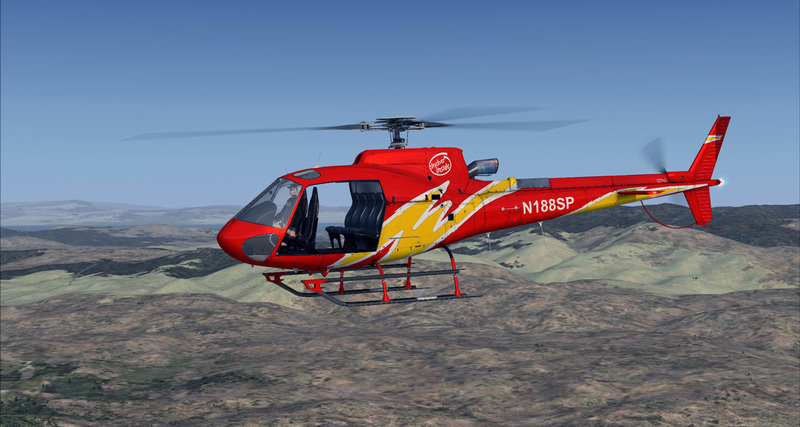 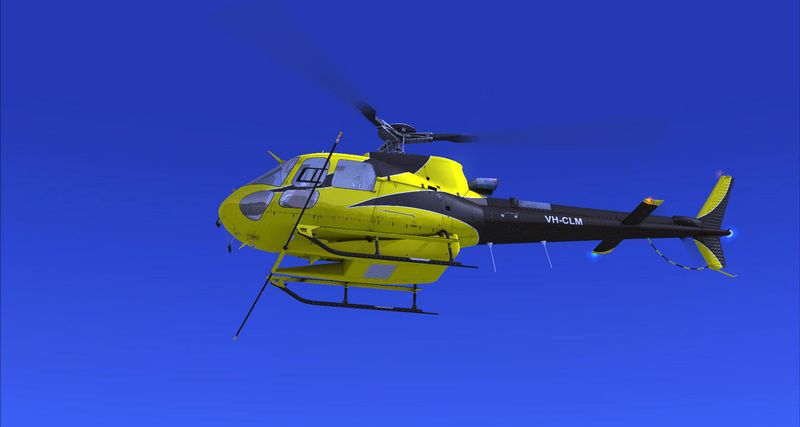 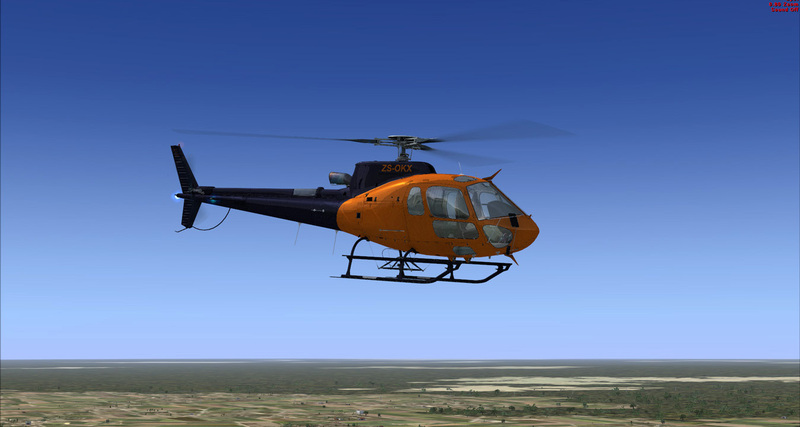 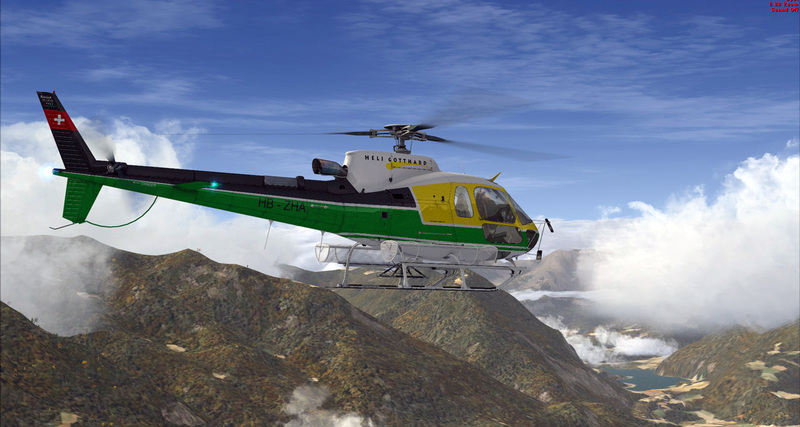 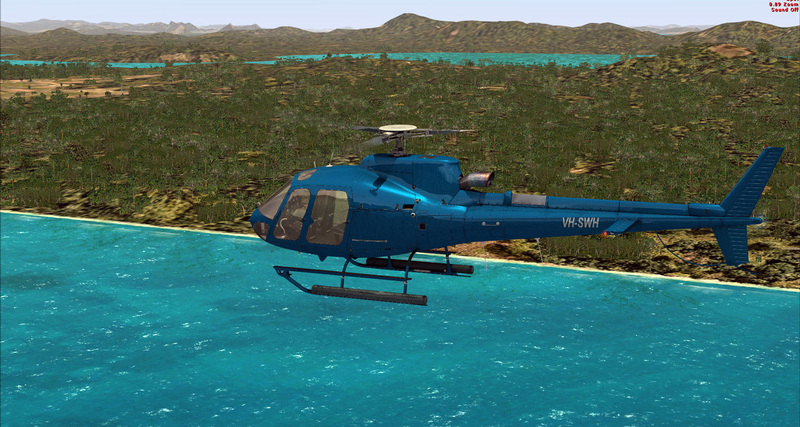 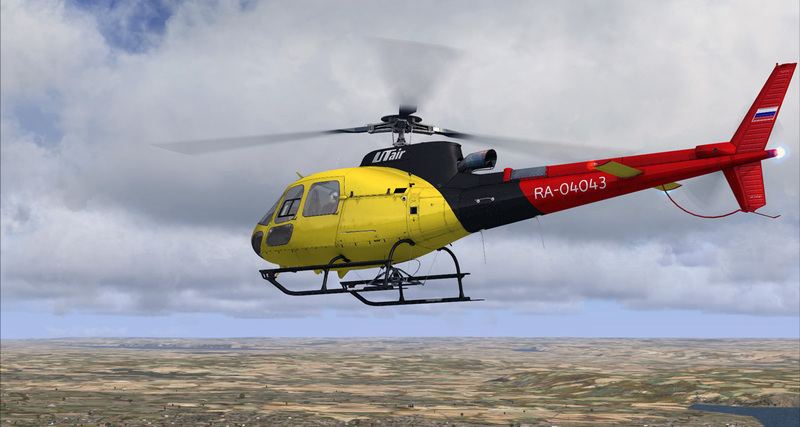 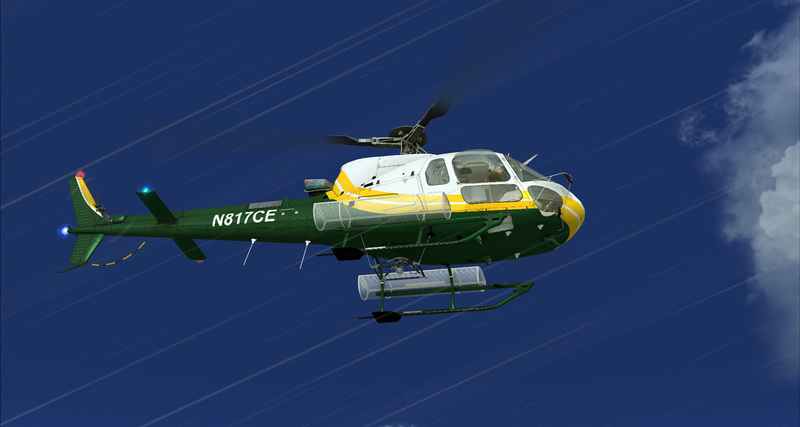 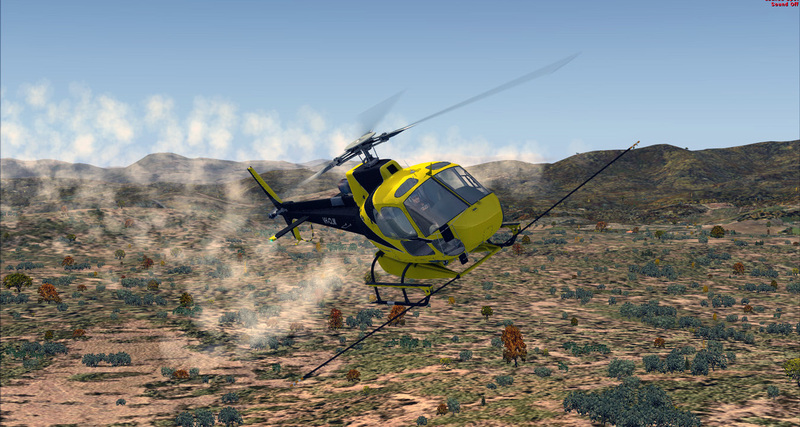 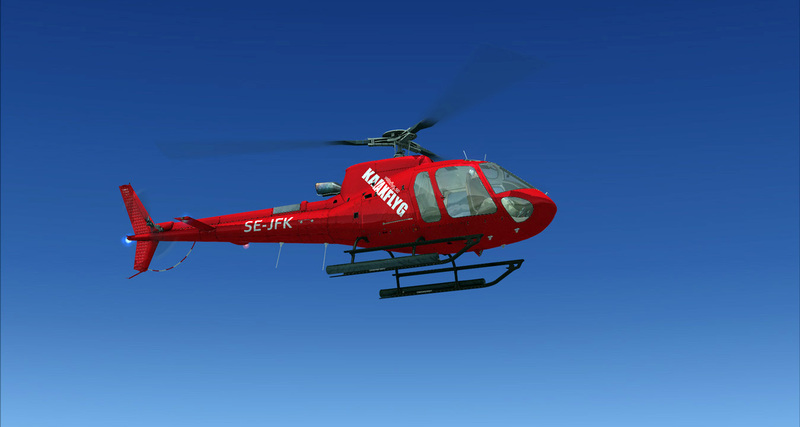 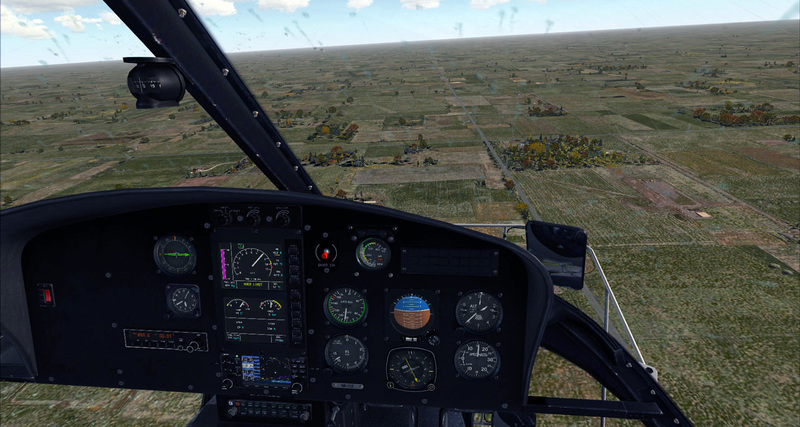 This product requires the original Nemeth Designs Aerospatiale AS350 Ecureuil (FSX) and it does not function properly without it.